Greg joined the mortgage industry in 2005. Prior to that, he was a personal trainer and martial arts instructor for 17 years. 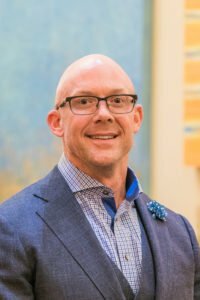 Greg notes that 20 years of martial arts, where persistence, honor, and integrity are the heart of daily practice, was a perfect lead in to his role as a consultant in the mortgage industry. The Gale Team is a full service loan origination service, committed to providing innovative mortgage solutions and real estate strategies. In his role as team leader, Greg stresses the importance of integrity, a positive attitude, patience, creativity, and respect for all things. The team priority is to provide exceptional and memorable service. On a personal note, Greg is absolutely passionate about helping other people. He is a regular contributor to the American Heart Association and Susan G. Komen Foundation. Greg is a member of the National Association of Mortgage Brokers and the Arizona Association of Mortgage Brokers. He is licensed in both Arizona and California.